I would very happily live in the imaginary home featured in today’s design plan. 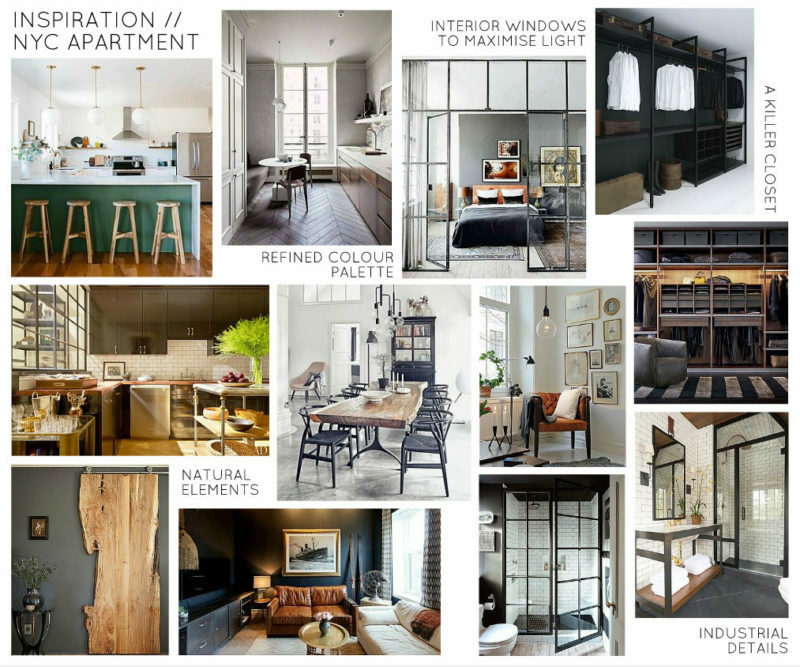 It’s a mood board for an NYC apartment design that I put together as part of an application to design school (!!!) It features lots of the industrial details I love combined with organic elements and a refined colour palette with on-trend accents of deep green. Male, early 30s, single, fabulous. Works in fashion PR in New York City. Loves to entertain. I figured I’d just go all out and basically create my dream apartment here. I put together an inspiration board for the apartment design and I can honestly say that I love every single space in it. Fortunately, my “client” agrees (because I made him up). Side note – do you know how freaking long it took to find the original sources for some of these images? Hours, I tell you, hours. But you gotta give credit where credit is due, am I right? 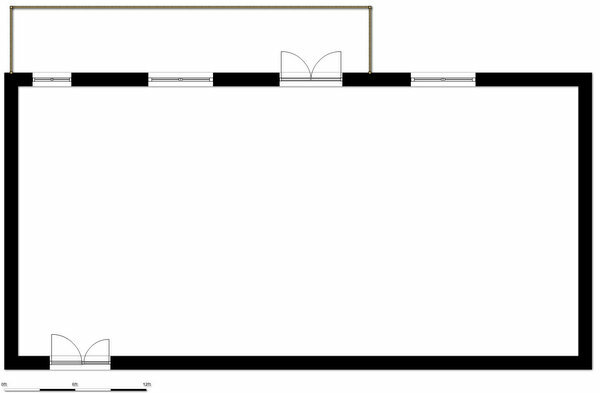 Moving on to the floor plan for this NYC apartment design, which started out as a 1200 sq ft empty box. The space needed separating into areas designated for sleeping, eating, working, etc. Because the windows run solely along one side of the unit, I put all the living spaces on that side, and placed the more utilitarian spaces – kitchen, bathrooms, laundry – against the darker back wall. I kept most of the unit open-plan, but defined spaces for living and dining with big area rugs, and created an entryway with a big closet and another, smaller rug. The second bathroom is big enough to add in a shower stall, and the bonus room could serve as storage, a guest room, an office or a workout room. I have to mention the office nook too, because it’s something I’ve personally struggled with in almost every home we’ve lived in. An office space doesn’t have to be big, but it makes a huge difference if it looks intentional. The little nook between the bedroom and the bonus room would achieve that. Part of the assignment was to show the client’s exisiting furnishings, which he’s collected on his international travels, and combine them with new pieces to furnish the space. 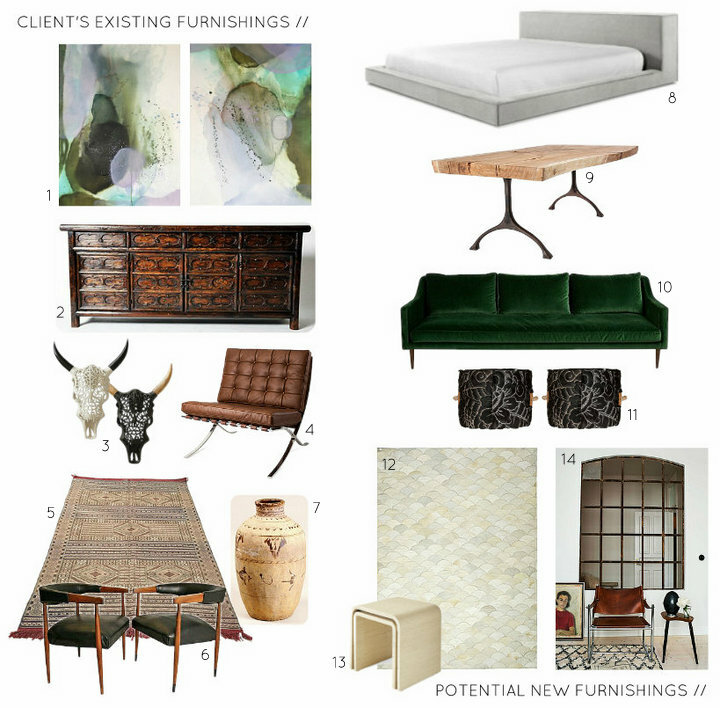 The mood board shows those existing pieces on the left, and some new additions on the right. 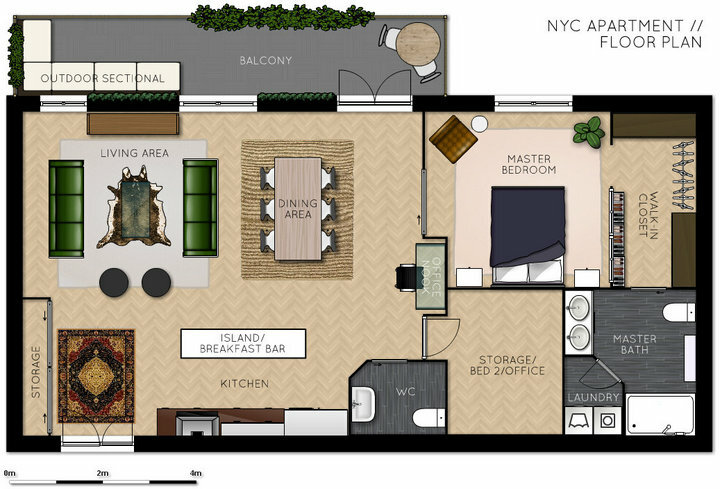 What do you think of my NYC apartment design? I’d move in in a heartbeat. And regarding the whole design school thing – my application was accepted and if we can figure out the finances, I’m going to start in September. Woot!